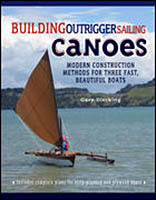 Details modern construction methods for three, fast, beautiful boats offering breathtaking sailing performance. Based on traditional Hawaiian and Polynesian types, using the strip-built and stitch-and-glue construction methods. No other book like it.